Sandra Amyot and Wayne Fox were extremely pleased with the way the community demonstrated support for members of the Canadian Armed Forces who have been drawn into the war in Afghanistan. 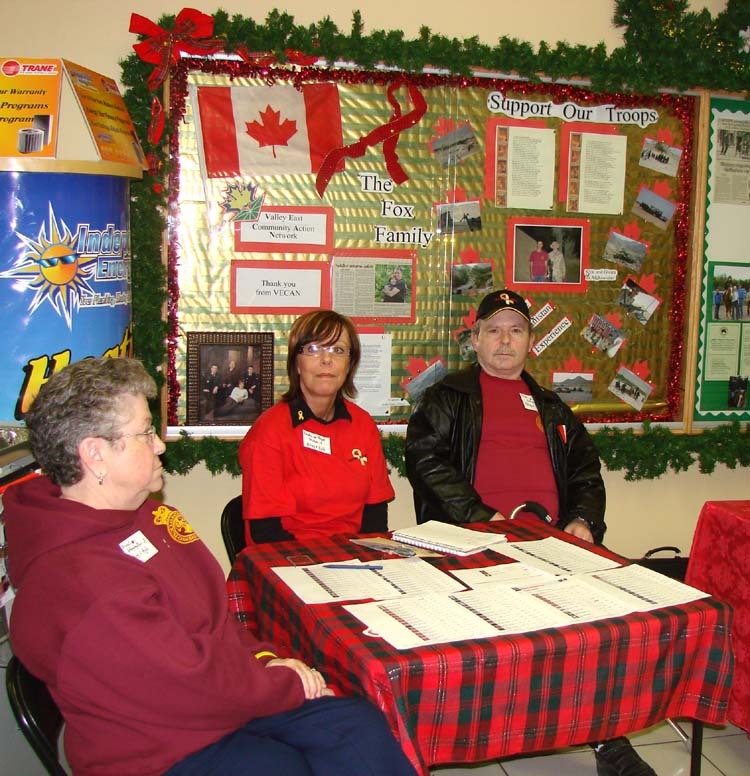 Sandra and Wayne took part in a special "Support The Troops" weekend at the Hanmer Valley Shopping Centre on December 9 and 10, 2006. Their two sons, Kyle and Glenn Fox, have both served in Afghanistan. The boys' grandmother, Bridget Amyot, on the left in the photo, also took part in the event. 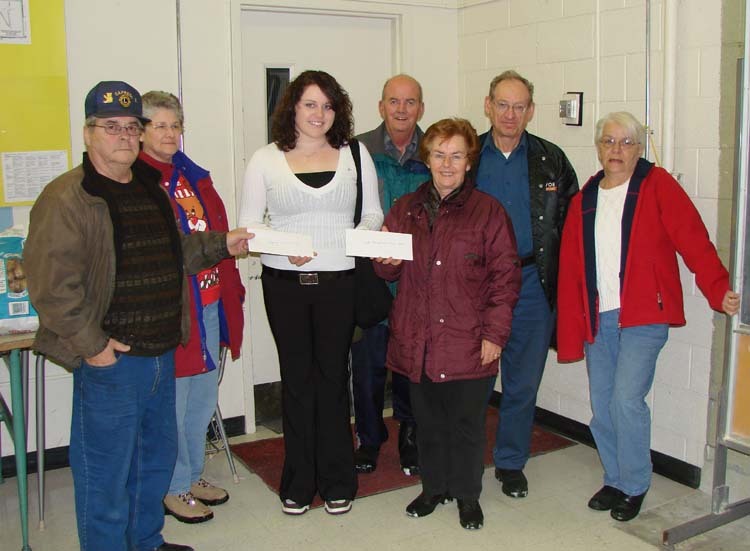 Amanda Alcock, shown in the middle of the photo wearing the white sweater, presents Norm Martin, 2nd Vice President of the Capreol Lions Club, and Andrea Blais-Beaulieu of the Good Neighbours Food Bank, with much needed cash donations to go along with the 1462 non-perishable food items and one hundred 10-pound bags of potatoes that were collected as part of their 26th Annual “Christmas Is Giving” Food Drive which was held on Tuesday, December 5, 2006. The people in the photo include, from the left: Norm Martin and Linda Wotton of the Capreol Lions Club; Amanda Alcock, Minister of Public Affairs with the Confederation Secondary School Student Parliament; Phil Proulx, Andrea Blais-Beaulieu, Andre Beaulieu and Lillian Belanger, all representing the Good Neighbours Food Bank. Amanda and her Co-minister of Public Affairs, Maria Manolioudakis coordinated the food drive which involved over one hundred students in the school who volunteered to go out on the streets of Valley East and Capreol during the first two periods on December 5 to collect the food. Amanda extended heartfelt appreciation to all of the people who donated the food; to Valley Growers who donated the bags of potatoes; to the students who participated; to Ms. Patricia Miller and Ms Cynthia Farrar, two of the teachers who worked with the student parliament on the project; and to the four members of the Capreol Lions Club who helped out by driving to pick up food in that community. Amanda will be graduating in June and plans on enrolling in the Concurrent Education Program at Laurentian University en route to a career as an elementary school teacher, something she has dreamed about since Grade 2. The Capreol Lions and the Good Neighbours Food Bank both expressed their sincere gratitude for the donations. Several of the students in Ms. Tiffany Roberts' English Class at Confederation Secondary School are shown examining one of the boxes of food and other items that are being assembled for ten families that the school has "adopted" from Nairn Centre. Many people in that community have been affected by massive layoffs in recent months and are facing dire circumstances as a result. 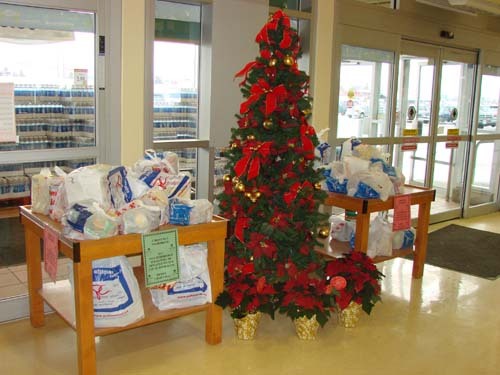 Confederation students also took part in the 26th Annual "Christmas Is Giving" Food Drive on December 5, 2006, in support of the Good Neighbours Food Bank in Hanmer and the Capreol Lions Food Bank. As a community school, students and staff understand the importance of reaching out to others in need and when they became aware of the situation in Nairn Centre, they welcomed the opportunity to expand their boundaries for this initiative. 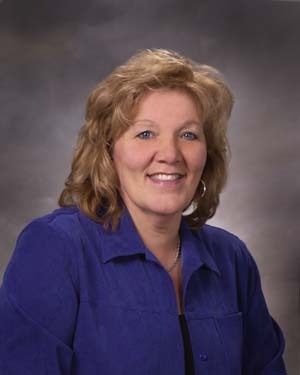 For the past 18 years, Connie has gained valuable experience in all facets of banking with the Royal Bank of Canada. 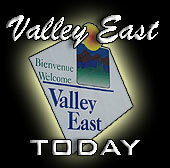 She has worked at various branches in Hanmer, Val Caron, Sudbury and . Her passion for working with clients has lead Connie to her current position as a Residential Mortgage Specialist. 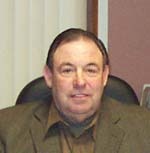 Rick Villeneuve, owner of Independent Energy Services is ready to give you a wonderful Christmas gift to celebrate the holiday season! 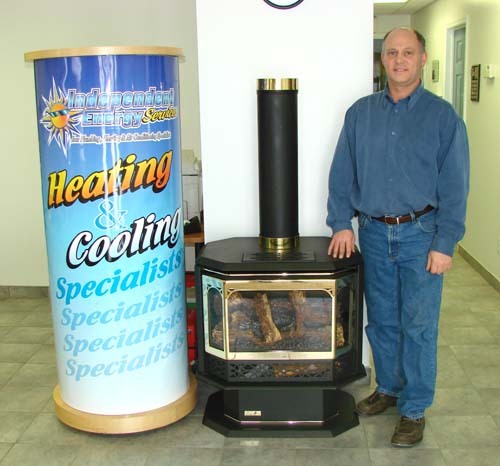 Sign a contract to purchase a Natural Gas Fireplace from IES on or before December 29, 2006 , and Rick will give you a $200 discount off the regular price! Natural gas fireplaces provide instant ambiance to the home. These units have realistic log settings and can be controlled by a wall thermostat or via a remote controller. Fireplaces are sized in different heating inputs so rooms of different sizes can be heated by different heat inputs. “I personally run my furnace fan 24 hours a day to filter the air and balance my home temperatures so during the non-severe heating times I run my fireplace as a lower heating input source. This allows me to only use about 25,000 btu’s of heat rather than having my 75,000 btu furnace running,” declared Barry Hamilton, Sales Manager for IES. Fireplaces can even be dressed up by the addition of trim kits, decorative door kits or false brick panel firebricks. Independent Energy Services also install wooden fireplace surrounds if desired by our customers. Natural gas fireplaces are becoming increasingly popular because of the convenience of having all of the benefits of an old-style wooden fireplace without the work. Wood burning fireplaces in air tight homes also require HRV ventilators. This is not a concern with a sealed combustion direct vented gas fireplace. Most gas fireplaces allow a turn down of the gas flame size and heat input to a 50% adjustable flame/heat rate. For the Green folks the gas fireplace is environmentally friendly too. Finally, natural gas fireplaces can even be inserted into your current wood burning fireplace. 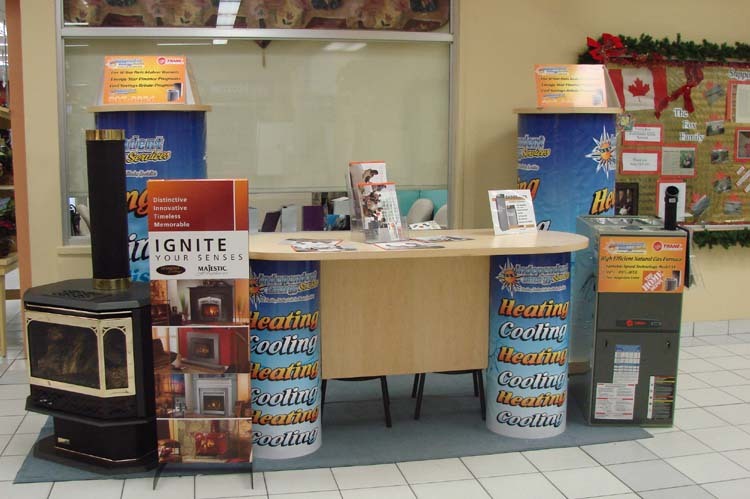 The sales staff from Independent Energy Services will have a natural gas fireplace set up on display at the Hanmer Valley Shopping Centre. You can see first-hand for yourself why so many people are switching to natural gas. Come and talk to the staff at the mall this Thursday and Friday, December 14 and 15 from 9 a.m. to 5 p.m. We will also be returning to the mall on Thursday and Friday, December 21 and 22. Don’t miss out on this terrific Christmas Gift being offered by Rick. Purchase a natural gas fireplace on or before December 29, 2006 and get $200 off the regular price. A deal like this doesn’t come along very often! See you at the mall. 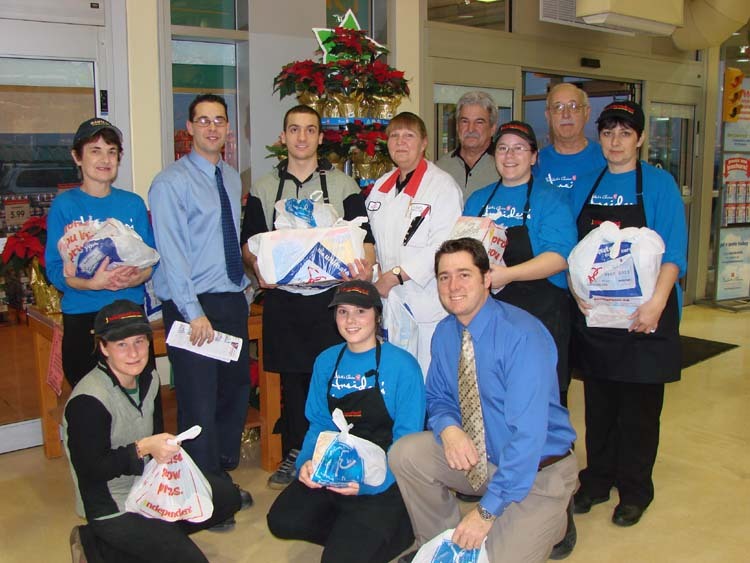 The staff of Neil’s Your Independent Grocers and The Vision Paper are ready to launch the First Annual Valley East Christmas Food Drive on Thursday night – December 14, 2006 . Beginning at 6:00 p.m. all available staff will hop on board a specially decorated “float” and make their way through the streets of Valley East , singing Christmas Carols and knocking on doors looking for donations of non-perishable food. In order to thank people for their generousity, Neil’s YIG will be giving each donor a ballot for every item of food donated. That ballot can then be filled out and deposited in the Food Bank Depot which is located inside Neil’s YIG. One lucky person will win $250 worth of groceries when the draw is made on Saturday, December 23. All food collected will be delivered to the Good Neighbours Food Bank in Hanmer for distribution to needy families. The Vision Paper and Neil’s Your Independent Grocer wish to thank the people of Valley East for their support of this very worthy cause.